Five quality horses go to post for the Betfair Chase in what looks set to be the highlight of the early part of the jumps season. The field includes the 1-2 from the Gold Cup last season, Native River and Might Bite, Thistlecrack who is back from injury and has previously won a World Hurdle, Bristol De Mai who won this race last season and Clan Des Obeaux, the young pretender in the staying chase division. Native River, Might Bite and Thistlecrack are going to attract a lot of the attention before the race from the media, as well as commanding most attention in the betting market, but for value it may be better to look elsewhere. 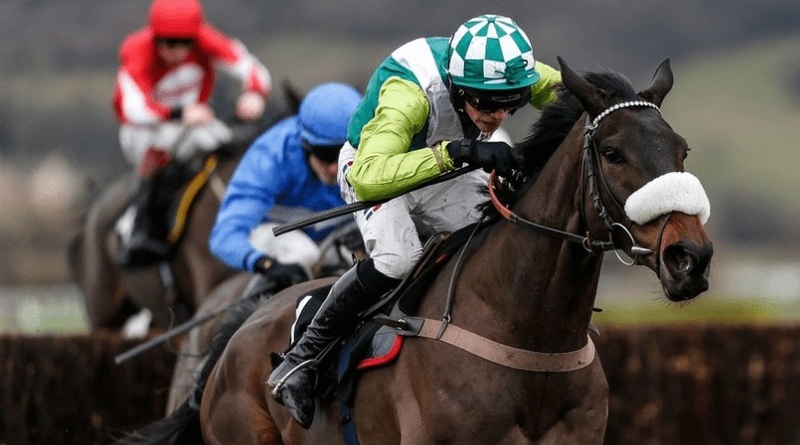 Bristol De Mai hasn’t got the soft ground he needs, but Clan Des Obeaux looks a horse capable of causing a huge shock on Saturday in the feature race if he improves as expected from last season. There is about 20lb between Clan Des Obeaux and the three main challengers on ratings, so he has to improve considerably to get close to these, but that is something I think he will do. He is only six, and still improving, this could be the year he challenges for top honours. One thing he will have in his favour here is fitness, I expect Paul Nicholls to have him absolutely spot on for this race, and in many cases this is his Gold Cup, the same cannot be said about the rest. Thistlecrack is coming back from injury, and both Native River and Might Bite will already have their eye on bigger prizes further down the line. They will come on for what they do in this race, and get better as the season develops. That means it is highly unlikely that we will see either of the main three run to their best form based on fitness, and Bristol De Mai is not as good on the ground he will encounter here. Those four running slightly below par, and Clan Des Obeaux improving for a summer on his back brings the five runners much closer together, meaning the value is certainly with the Paul Nicholls runner in this one at the double figure price he currently is. He isn’t the best horse in the race, and I don’t think he will be able to challenge these if they meet again at Cheltenham in March, but based on fitness and conditions, this could be the day he is good enough to challenge them and give them a real good race. Of the remainder, Might Bite may have been beaten by the Cheltenham hill last year and on this flatter track, I’d fancy him to gain revenge over Native River. Thistlecrack is getting one last shot at the big time this season, don’t be surprised to see him come swinging on the bridle as the race develops, but I think he could fall away due to a lack of fitness when the race enters the closing stages. On heavy ground I’d happily back Bristol De Mai to take this race, but on the forecast good to soft he is simply not the same animal. The sponsors of the feature race on Saturday have a fantastic horse racing offer that covers every race live on ITV, which includes the Betfair Chase this weekend. When you place a single on any ITV race, if you back the winner and the SP of that horse is 3/1 or greater, you will receive a free bet to the value of your stake on that winner. This is up to a maximum of £25, and a great way to gain free bets every time you back a nice priced winner. The free bets you are given can be used on any sport, but it is important to note that they are only valid for 48 hours after receiving them so don’t forget about them and let them expire. If you are looking for somewhere to place your bet on the Betfair Chase this weekend, or any of the other ITV races then Betfair is the place to go. Not only could you land a winning bet, but you could also be rewarded with a free bet on top of that as well, meaning you are winning twice!